Vancomycin dosing can be challenging and much debate exists as to how to employ it both safely and effectively. This article is meant to help people identify some of the most important questions to ask when dosing vancomycin for injection. A list of resources is also provided. Vancomycin is an antibiotic with broad-spectrum coverage for Gram positive organisms such as Enterococci, Streptococci and Staphylococci. When employed for intravenous use it is typically aimed at treating one or more of these bacteria, with methicillin-resistant Staphylococcus aureus (MRSA) being probably the most common target. When employing vancomycin for injection as a therapeutic tool it is common to monitor drug levels, which is referred to as therapeutic drug monitoring (TDM). The purpose of TDM is to balance between efficacy and toxicity. Too much vancomycin and you risk nephrotoxicity. Too little vancomycin and you risk treatment failure. One of the major challenges with vancomycin TDM is that there many factors that should be considered when identifying the needs of a patient. In turn, each unique patient case presents a host of factors to identify and account for in developing a treatment plan. Complicating things further, these factors are not static and may become relevant one day, when they had just been irrelevant the day prior. In determining the right plan for vancomycin dosing and monitoring, it is important to ask the right questions. While the following does not present or discuss all questions that should be addressed, some of the most pertinent questions to answer are presented. This is meant to be basic and practical. For a more in-depth look at this topic the reader is referred to the resources and publications provided below. NOTE: Vancomycin can be used orally in the treatment of Clostridium difficile infection, however the information provided here will discuss intravenous vancomycin only. Vancomycin TDM is not commonly performed for oral vancomycin. 1. Does the person need vancomycin? An additional benefit to asking this question first is that you avoid wasting time coming up with a dosing and monitoring plan for a patient who does not require it. 2. What type of infection are we treating? The vancomycin doses needed to treat a mild infection (e.g., cellulitis) are much different than those needed to treat severe and invasive infections (e.g., infective endocarditis). An infection with a high inoculum (i.e., a lot of bacteria) or in a location where high concentrations are difficult to achieve, will usually translate to needing more drug. The second piece that comes with infection type is what organism(s) are you targeting? In most cases if MRSA is not being targeted, you should refer back to the first question here and consider if vancomycin is needed at all. If vancomycin is indeed indicated, note that the levels desired for staphylococcal infections are frequently greater than what is necessary for non-staphylococcal infections. In particular, MRSA with a high vancomycin minimum inhibitory concentration (MIC) can be particularly problematic. If MRSA with an elevated vancomycin MIC is on the radar, proceed with caution and start considering other options, as this has been associated with clinical failures. This can get a bit complicated, so some institutions have automatic infectious diseases (ID) consultations when MRSA is isolated from the blood. If you are interested in the role of ID consults for Staphylococcus aureus bloodstream infections, there is a systematic review available for you to review here. 3. What factors can impact this patients excretion of vancomycin? The main driver of vancomycin excretion is kidney function. It is always important to determine the status of a patient’s kidney function when dosing and monitoring vancomycin. The better the kidneys, the more excretion. The worse the kidneys, the less excretion. Beyond the current status of the patient’s kidneys it is also important to identify trends. Is the kidney functioning getting better or getting worse? Is the patient anticipated to start on intermittent dialysis? Are there any interventions planned that could impact the kidney function (e.g., use of intravenous contrast)? Answering these questions allows you to start predicting what the patients needs may be in the future, which will help you to be prepared when the time comes to make adjustments. 4. What factors can impact vancomycin monitoring plans? In a clinically stable adult patient on twice daily dosing it is common to obtain a vancomycin trough level prior to the fourth dose. That sounds like a great plan, however what can interfere with such a plan? Is the patient going to surgery or anticipated to be off the floor? Is the patient having access problems which are causing doses to be given late or skipped? Questions like these should be addressed in order to ensure a dosing and monitoring plan is practical given the unique patient case. Of course things can always change in time, but taking steps to identify issues early on will make you more likely to be successful in your monitoring plans. 5. Is there anything that makes this patient special? Patients with larger actual body weights require larger doses because of vancomycin’s large volume of distribution. Patients that have burns, trauma, or are younger in age metabolize drug quickly and are common to require larger vancomycin doses. Some patients are continuously leaving the medical floor to smoke cigarettes or engage in other discouraged activities and frequently miss doses or lab draws. You should ask yourself: what makes this patient special? Every patient is unique and every scenario changes from one day to the next. In reviewing the medical record look for factors which make the case different than the “typical” case and try to use this information in creating your treatment plan. Dosing and monitoring vancomycin is a real challenge and inevitably not every case will go as planned, but by asking the right questions and seeking the necessary answers, we can help our patients to have the best chances for treatment success. 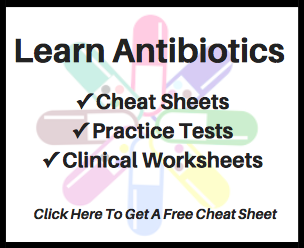 Please use these resources below to learn more about vancomycin dosing and monitoring. Chavad R et al. Towards individualised vancomycin dosing in Methicillin-resistant Staphylococcus aureusbacteraemia: establishment of an AUC0-24 threshold for nephrotoxicity. Antimicrobial Agents and Chemotherapy. 2017. Lodise TP et al. Vancomycin exposure in patients with methicillin-resistant Staphylococcus aureus bloodstream infections: how much is enough? Clinical Infectious Diseases. 2016. Pai MP et al. Innovative approaches to optimizing the delivery of vancomycin in individual patients. Advanced Drug Delivery Reviews. 2014. Patel N et al. Vancomycin: We Can’t Get There From Here. Clinical Infectious Diseases. 2011. Claeys K. MRSA Bloodstream Infection: Vancomycin, Daptomycin or Other? IDstewardship.com. 2016.